A new grant worth nearly $4 million dollars is awarded to areas of Southwest Virginia. 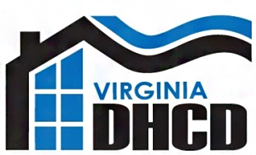 The Virginia Department of Housing and Community Development announced Tuesday that eight localities across Southwest Virginia will receive Community Development Block Grants. These grants supply finances to the awarded areas for things like housing rehabilition, downtown revialitzation, workforce development, and more. The eight locaties receiving these grants include Wise County, the towns of Appalachia, and Gate City. The grant Wise County is receiving is a Construction Ready Water and Sewer Fund award for their project Wells-Adams Sewer Extension, which totals $255,000. The Towns of Appalachia and Gate City also received awards for separate housing rehabilitation projects totaling over $1 million dollars.